A store owner was tacking a sign above his door that read “Puppies For Sale”. Signs like that have a way of attracting small children, and sure enough, a little boy appeared under the store owner’s sign. “How much are you going to see the puppies for?” he asked. 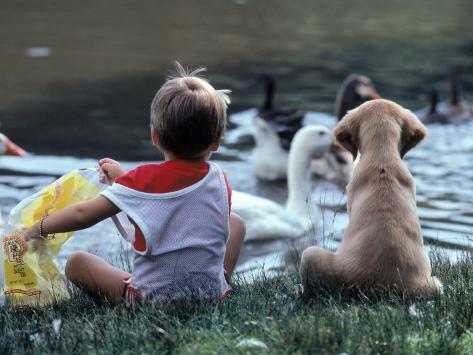 The little boy bought that pup that day and came back every month until the now dog was paid off. It Moves You – This is the key to every story, movie and the key to some of the best brands. This story moves a person to tears; it tugs at the heart strings. It is so rare that a Tweet or Facebook update does this, that when it does we are compelled to share it. Whether it makes you cry or laugh out loud or make you want to stand up for something you believe we feel the urge to tell the people around us. We are fantastic story tellers, but companies have simply forgotten this. This is one story that I read once, but have told a thousand times for this simple reason; because it moved me. It does not matter who you are, this story appeals to you – We are so used to only focusing on our target markets or a particular demographic. What we seem to forget is that the more universal the topic, the more opportunities to reach your prospects. Dollar Shave Club do this very well; I am not a man with a mustache or am balding and need to shave, but their content is humorous and even appealing to people who aren’t their key prospective buyers like myself. It is through me that I can refer people who are ideal to the product. It’s evergreen– This story has no shelf life. The latest data or economic report can go out of date very quickly but this story is timeless. Try to mix your content up now and then; trivia questions, motivational quote of the day or an inspiring story. Everyone loves a happy story! I believe that if we content marketers can get these three points into our check list when producing content we will all be producing brilliant content.